Four of the five biggest weights of the SGX All Healthcare Index have gained in the 2018 YTD leading the Index to a 6% total return for the period. Top Glove Corp Bhd has been the strongest performer with a 56% total return. 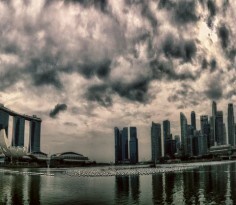 The Healthcare Sector was also the strongest of the Sectors in Singapore in June. While the Sector saw net institutional outflow of S$0.4 million in June, it was one of just two Sectors that had booked inflow for each of the three preceding months of March through May. With trailing supply & growing regional demand of healthcare services, expansion of quality healthcare services, operational scale and applications of frontline technologies provide potential growth drivers for healthcare that go beyond its defensive sector foundations. Coupled with gains in the US Dollar, ongoing trade disputes shaped the biggest challenge to the global stock market in the first half of 2018. Much of the volatility associated with the very open trade and tariff dialogues was absorbed by equities – while commodities, interest rates and currencies were more influenced by economic drivers. One defensive segment of the stock market that performed comparatively well in the first of 2018 were the traditional healthcare providers in the both United States and Asia Pacific. Half of the 10 largest capitalised healthcare equipment and service providers in the United States achieved double digit gains, as did six of the relevant 10 largest stocks in Asia Pacific. 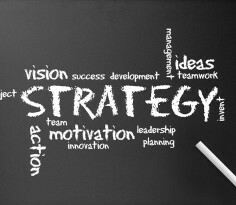 Within the stock market, healthcare providers are typically known to be a defensive segment. However, the landscape of burgeoning demand and comparatively lagged supply of equipment and services in South East Asia provides a significant growth connexion. Investors are well aware of the region’s large growing rural and urban populations, rising affluence and increased incidence of treatable diseases. At the same time the number of physicians, nurses and levels of government expenditure maintained by our South East Asia neighbours is well below the World Bank’s global average. As recently highlighted by healthcare private equity fund, Quadria Capital, many of the economies in Southeast Asia have a relatively underdeveloped healthcare system. Expanding the quality of clinical and specialist patient care, achieving more operational scale and the application of frontline technology provide potential growth drivers for the Sector. Frost & Sullivan estimate that the Asia-Pacific healthcare industry represents one of the fastest growing regions in the world in 2018, fuelled by increasing adoption of technology, innovative healthcare access programs and delivery of care outside traditional hospital settings. As discussed here the majority of the biggest healthcare stocks have also pursued growth strategies in recent years. It has been 10 years since ParkwayLife REIT extended its regional reach outside of Singapore with its maiden entry into Japan. From the 10 year period spanning its IPO to the end of 2017, ParkwayLife REIT grew its number of properties from three to 49, portfolio value from S$775 million to S$1.73 billion, gearing ratio from 4.3% to 36.4% and market capitalisation from S$770 million to S$1.81 billion. Singapore’s SGX All Healthcare Index has gained 6.0% in the 2018 year through to 3 July. This has brought its average annualised total return over the past five years to 7.3%, which compared to 4.1% for the Straits Times Index (“STI”). The Healthcare Sector was also the strongest of the Sectors in Singapore in June 2018. 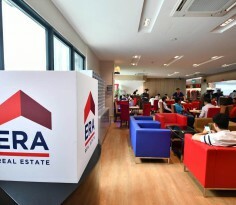 While the Sector saw net institutional outflow of S$0.4 million in June, it was one of just two Sectors that had booked inflow for each of the three preceding months of March through May. 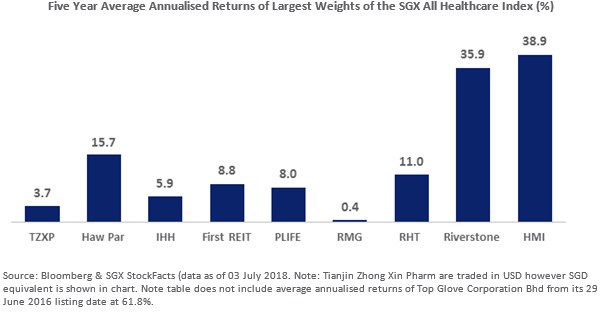 The 10 largest constituents of the SGX All Healthcare Index averaged a similar total return to the SGX All Healthcare Index in the year thus far, with individual performances tabled below. To see more details on each stock in SGX StockFacts click on the stock name. Source: Bloomberg & SGX StockFacts (data as of 03 July 2018). *Note: Tianjin Zhong Xin Pharm are traded in USD however SGD equivalents are shown in table for performances. Note that increased competition through lower-cost treatments and new start-ups, in addition to rising labour and capital costs are challenges for healthcare providers. For those healthcare service and equipment business that are expanding across the not just the region, geopolitical and exchange rate volatility also present potential challenges. 10 Biggest Index Weights Averaged 14% Annualised Returns over Past Five Years. Corresponding with the general observation that a number of healthcare stocks have transposed their identity as traditional defensive plays, all 10 of the stocks tabled above have generated gains over the past five years. The 10 stocks also maintain an above average price-to-earnings ratio of 30.7x. Reflecting diversity of equipment and services in addition to other healthcare segments such as pharmaceuticals there has also been a high degree of variation in the past five year gains. 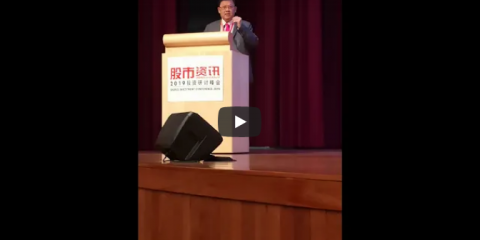 Average annualised total returns for the past five years ranged from 0.4% for Raffles Medical Group to 38.9% for Health Management International. Of these 10 stocks, just the one stock, Top Glove Corporation Bhd, listed within the five year period. If included, its return from the listing date would bring the average annualised return of the 10 stocks up to 19.0%. On average the nine of the 10 stocks that have been listed of the duration generated average annualised returns of 14.3%. The next five largest weights of the SGX All Healthcare Index include three stocks that have been listed for the duration that averaged 22.9% annualised gains over the past five years. If including the returns of TalkMed Group and Clearbridge Health which listed in the interim, the average annualised return of these next five largest weights of the Index would have been 27.4%.